A few weeks ago I was contacted by Perry Ellis to be a part of something new and exciting, #GentsChat. 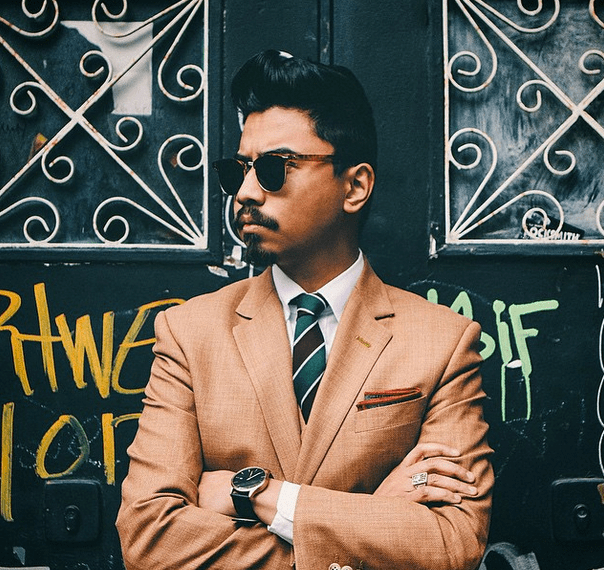 #GentsChat is an online twitter chat tailored for men (however we love it when the ladies join) and co-hosted with the coolest + most influential guys in the blogging world! To add to the excitement of the chat, it has become the most successful menswear chat in twitter history, by trending in several cities across the world, every week. 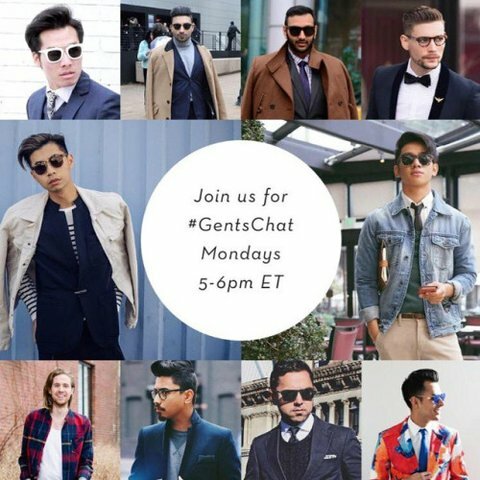 Before I dive into the details on my co-hosts, I would like to invite you to join us for #GentsChat every Monday 5-6 PM ET – so hopefully I will see you there. Mr Very Perry is based in NYC and is bringing you into the world of Perry Ellis. Mr. Very Perry is a lover of all things dapper and dotted/spotted/circular. Mr. Very Perry always view life as a glass half-full. His favorite item of choice is a slim fit blazer jacket as it’s the foundation of any stylish outfit. Mr. David Guison is a Philippines based Social Media Influencer, style blogger, writer and photographer. His blog DGManila has been making waves internationally following his adventures to cities across the world. Mr Tommy Lei is the styleteller behind the popular high fashion and lifestyle blog, MYBELONGING. His style is a combination of minimal, modern, androgyny and streamlined + he has a wicked platinum hair-do. Mr. Josh Johnson aka The Kentucky Gent is a southern man at heart with a love for bourbon and beer, fashion and food, and sharing his stories and experiences with his followers – who is proving that southern state men can have awesome style too. Mr. Jorge Gallegos of the super fun IAmManChic blog is a Mexican fashion blogger who is known for his colourful & dapper looks. His website talks about all things fashion, dapper, queer and fun! Mr. Travis White is a former model turned into style blogger who is well known for his sharp, tailored look on his popular Instagram/Twitter accounts @Trav_White_. Mr. Dathias Hoang is a New York City based menswear blogger whose blog ModernManJournal showcases his sleek and minimal looks. His blog is refreshing because unlike myself, he speaks with his outfits rather than a lot of words in editorial style outfit shots. Mr. Zebran Kabani is a blogger, stylist and oddly enough a long time social media friend of mine. We connected a long time ago on #StyleChat and have been talking to each other via tweets ever since. It’s actually amazing because I was really new to blogging at the time as well, and we both kind of watched each other grow. 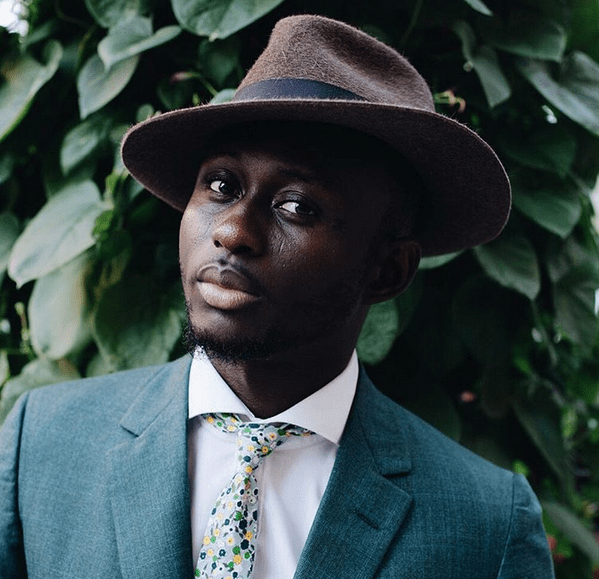 His blog is StyldbyZ features sharp outfits and also insight into top fashion events. Lastly is yours truly! I figured that if you’re on my blog, you would already know all about me, if not, you can always check out the “About The Prep Guy“ page. Mr. Michael Tommasiello may not have a fashion blogging website, but he sure does have an impressive social media following and exquisite fashion sense of his own. He goes by the name of NYDoorMan and has a hilarious sense of humour. Nice one GENTS – next time hit us up when you are working! We’d love to get involved sponsorship whys! Fabulous! I have just responded to the email I received from your team.